The TKMS team of Lee Marentette, Rachel Shoemaker, Sierra Morton, Zach Maring, Kate Baldry, Natalie Alden placed first at the state competition, earning the right to advance to the world finals in May at Michigan State University. 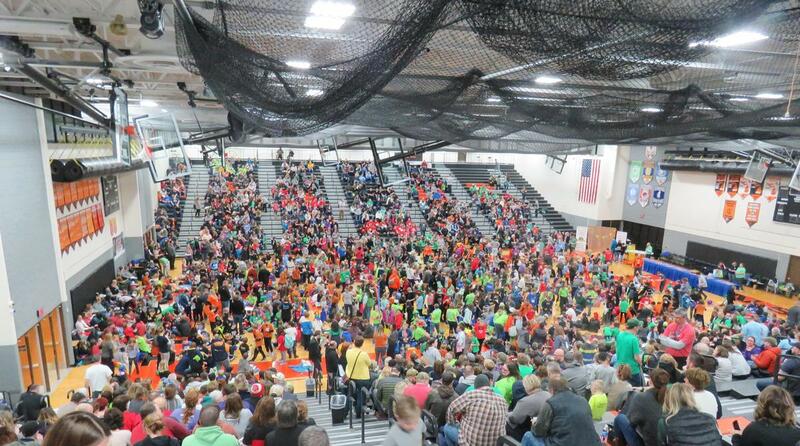 Another middle school team narrowly missed advancing. They earned third-place medals at the state finals. Team members are Shelby Robinett, Marian Gielincki, Billie DeWent, Whitney Ruger, Cash Rabley, Mallory Hagemann, Travis Barton. 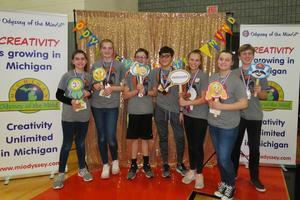 The middle school team made up of Aleese Lambert, Keely Lambert, Cole Boysen, Mallory Syren, Graysen Stahle placed fourth. Another middle school team with members Audrey Guikema, Shelby Madole, Masyn Hiemstra, Avrey Hicswa, Nancy Raab, Libby Hess, Emma Thompson, placed fifth. 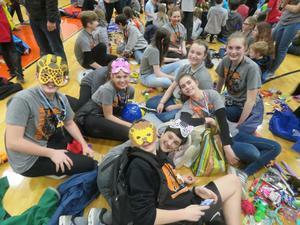 A final TKMS team did not place in the top six in the world finals. Team members are Jonas Grummet, Emily Fliearman, Darby Nutt, Ava Myers, Margaret Richards, Jaelynn VanderSyde. 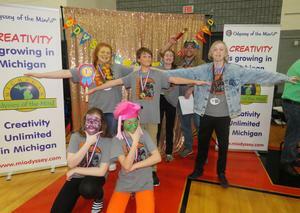 The TKHS team made up of Jacob Maring, Emma Chapman, Grace Densham, Zane Walters, Clair Jansma, Anna Miller and Wyatt Crampton, not only placed first in their division they also won the coveted Ranatra Fusca Award for creativity. In addition, Crampton was awarded one of the four OM scholarships. A second high school team narrowly missed the world finals but received third-place medals. 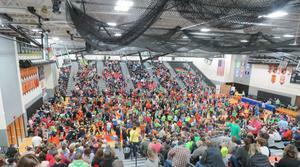 Team members are Aubrey Evans, Christel Hoskins, Kelly Gasser, Brendan Carlson, Michael Brown and Ellie Essenberg. 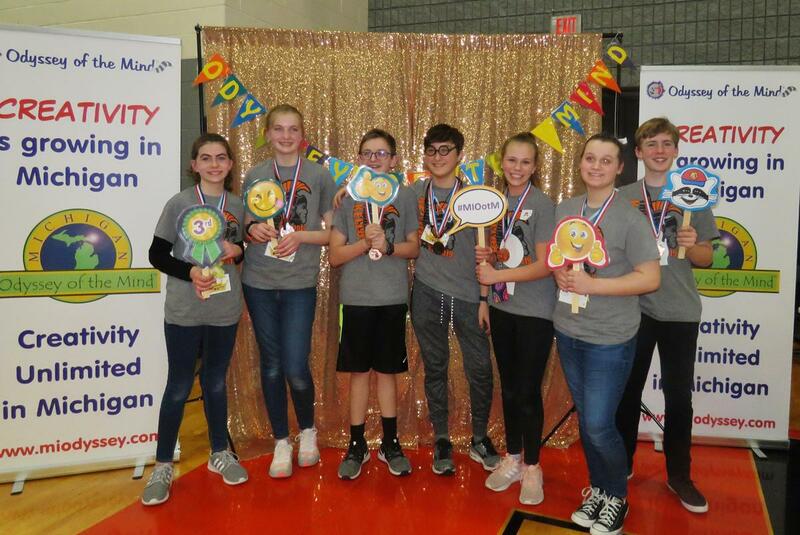 The Page team of Ella Fischer, Charlotte Crampton, Mallory Rosenberg, Avery Hagemann, Jenna Robinett, Miles Chambers and Alex Evans placed fourth.